Koepka: "If me and DJ really fought, we'd have left with black eyes"
Brooks Koepka reveals how Patrick Reed apologised to teammates over group text. 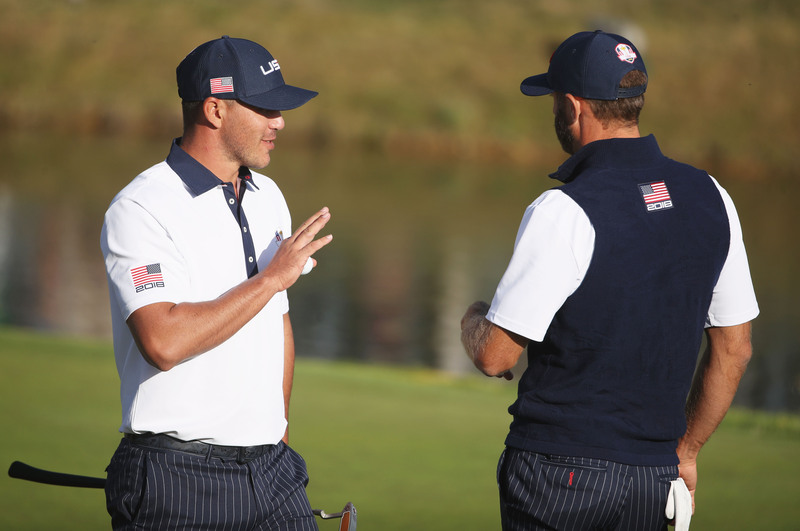 The 2018 Ryder Cup may have left with more stories off it than on it where the United States were concerned last Septmber, but Brooks Koepka wants it to be known he NEVER had a bust-up with his best pal Dustin Johnson at Le Golf National. Koepka, speaking on the 'Boomer and Gio' radio show in New York this week, reiterated how the media "lied" about the reported incident that saw both he and Dustin Johnson come to blows during the European Ryder Cup after-party in Paris in front of players, partners and officials. But the rumour still bothers Koepka more than four months on today. "There's a lot of lies that came out of that Ryder Cup, we'll put it that way," said Koepka. "There's a lot of untruth, untruthful statements that have been said about that. The stuff with me and DJ, you saw that. I mean, if we really got in a fight, one of us would have had a black eye, I promise you." Koepka also went on to explain how Patrick Reed apologised to his fellow US teammates for his controversial comments during and after the Ryder Cup, where he criticised both captain Jim Furyk and his former playing partner Jordan Spieth. "Obviously the things with Patrick, it just kind of took on a life of its own," said Koepka. "We've got a group text, and there were some texts that were sent, and he kind of apologised." Kopeka also revealed how Reed included a message to his teammates saying: "Don't believe everything you read."